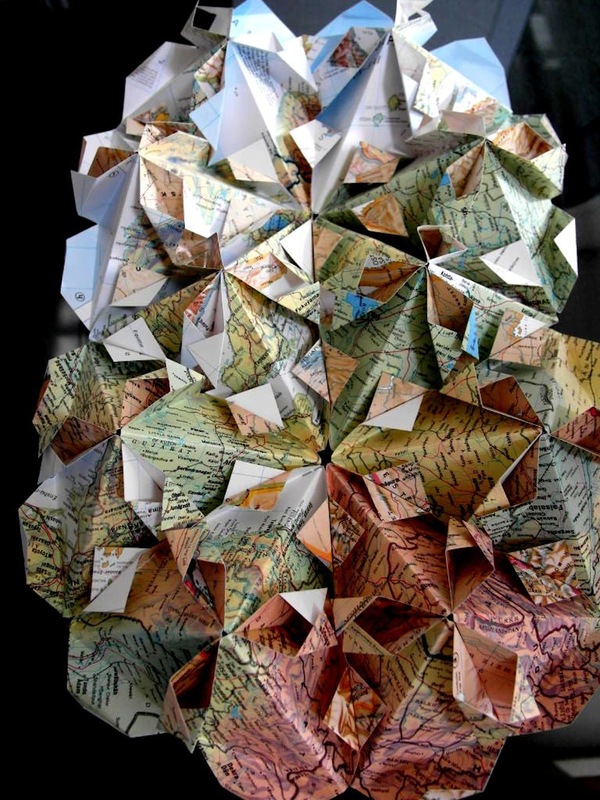 The artist uses the pages of an old atlas to restructure the world. 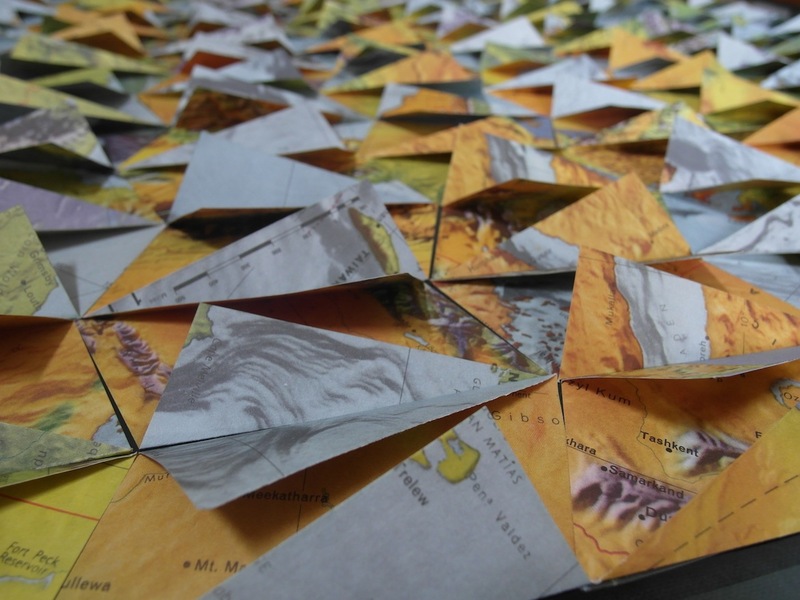 A map is basically a functional object, bearing geographic information, but by dissecting, folding and reconnecting the pages, the artist creates a multilayered artwork with an element of surprise. 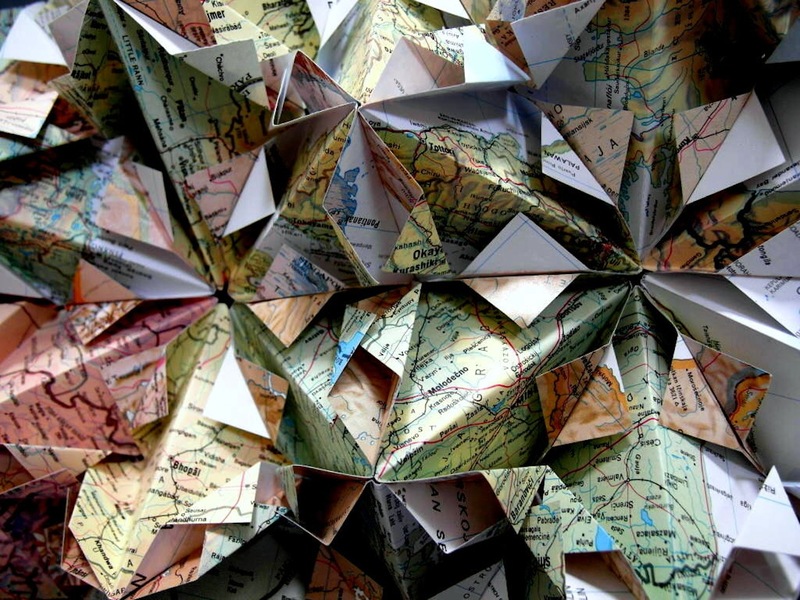 Names of cities, countries, rivers and mountains pop out at you, jostling with their unlikely neighbours. 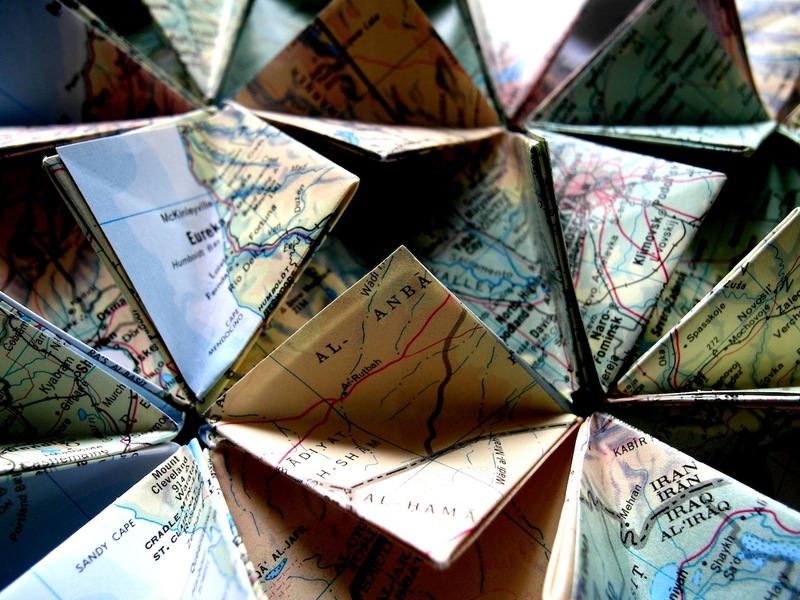 Maps have a special place in our minds because they give us a sense of location and provide us with routes into the unknown. 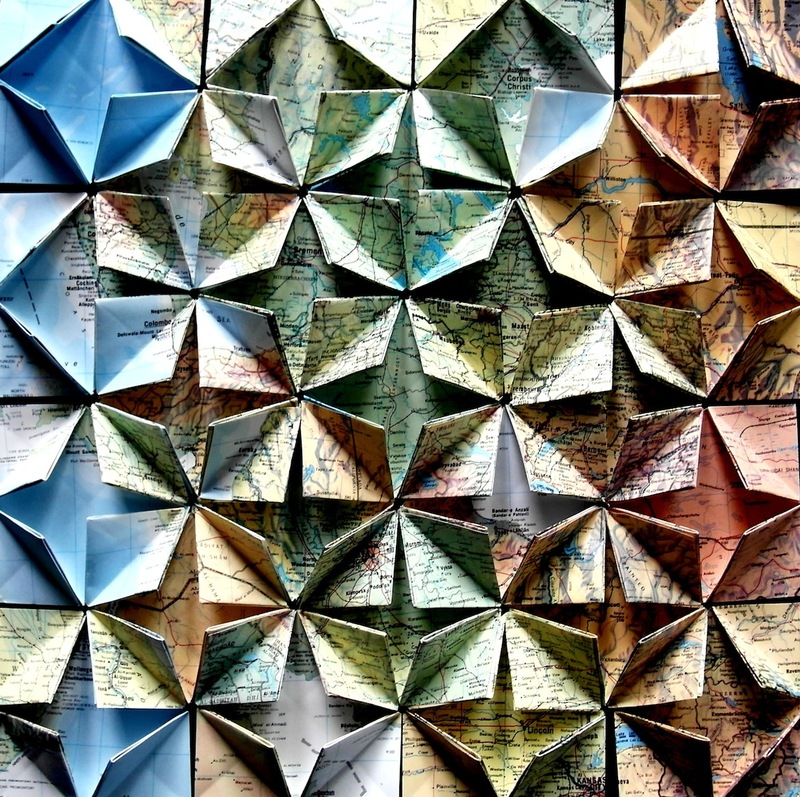 These works of Cartography Art create a delightful reconfiguration of our sense of place. 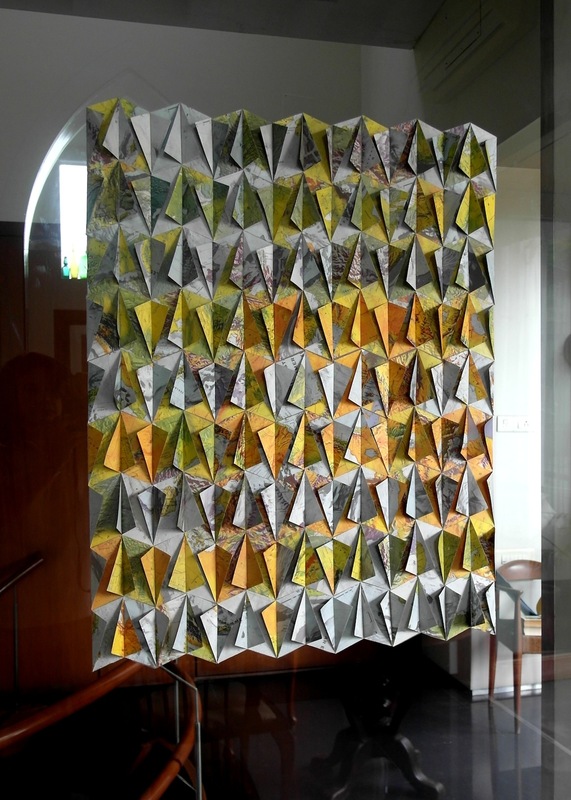 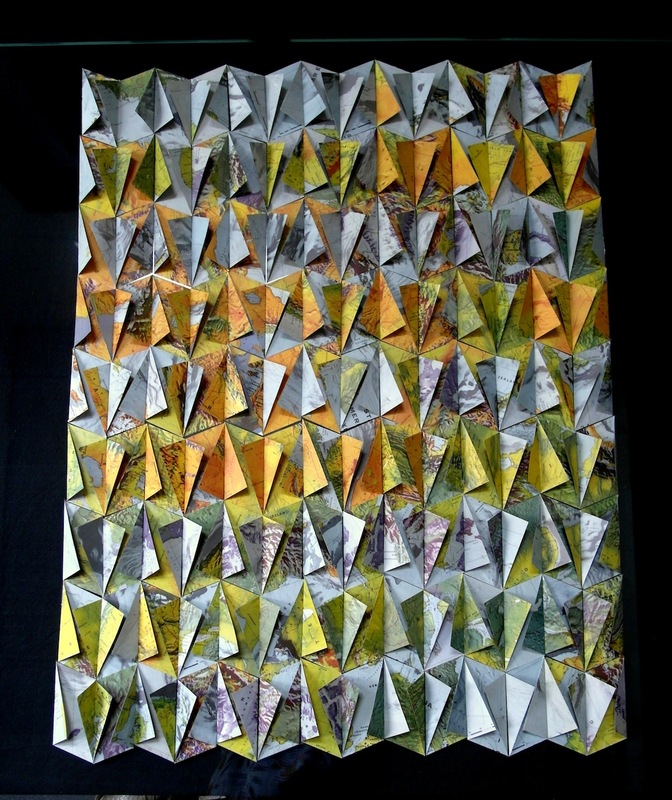 In the tessellations that are composed of solid colours the sciography plays an important part in the artwork.